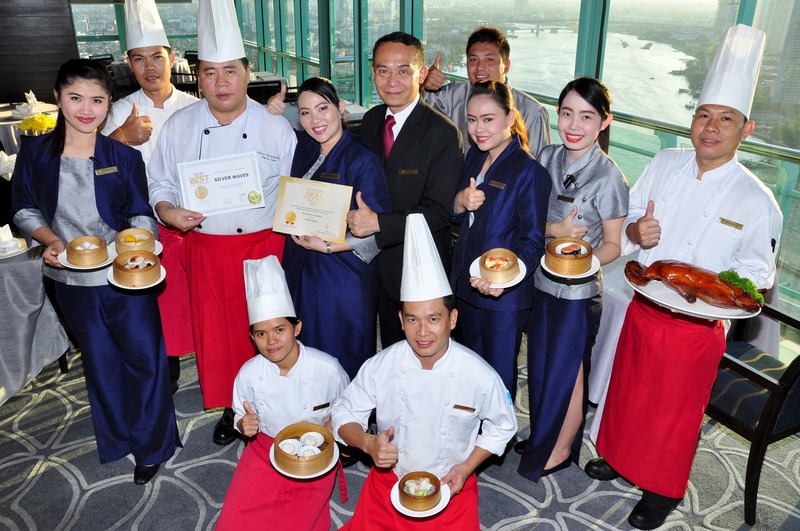 April 2015, Bangkok: Silver Waves Chinese Restaurant recently claimed a Bangkok Best Restaurant Award for 2014 by Bangkok Best Dining & Entertainment and 2015 Best Restaurant by Thailand Tatler. The restaurant also listed as a 2014 Top Cantonese Restaurant by USA Today’s 10best.com and as one of Bangkok’s 10 Best Chinese Restaurants with the best Bangkok city and Chao Phraya river views. Silver Waves restaurant is perched high-up on the 36th floor of Chatrium Hotel Riverside Bangkok and is renowned as Bangkok’s best and highest Chinese restaurant by the river. 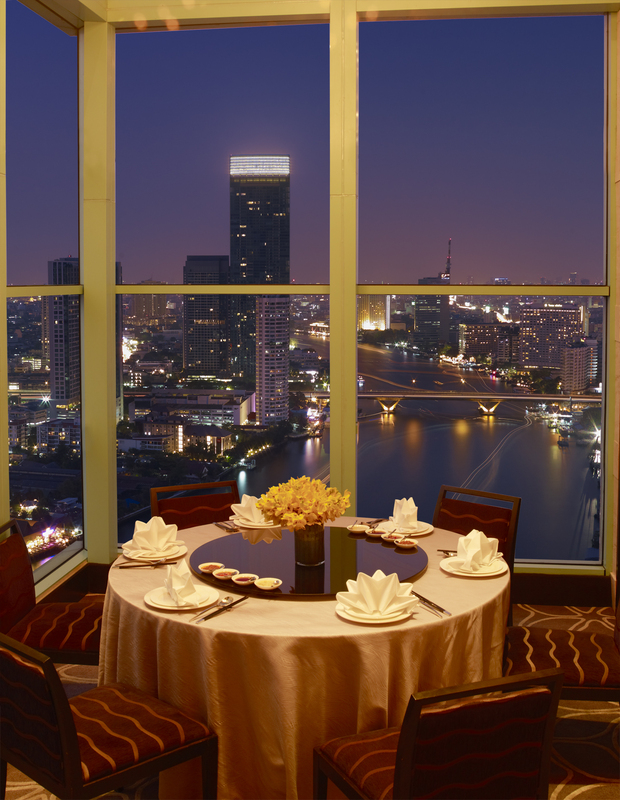 Dine at the top with stunning views of the Chao Phraya River and an exquisite atmosphere where the ambience reflects the contemporary luxury of Bangkok with a modern Chinese interior design. The restaurant’s name is designed to induce the image of the reflection of water. Silver Waves is named after this inspiration as it shines with a silver glimmer during the day and dazzles vividly during the night. 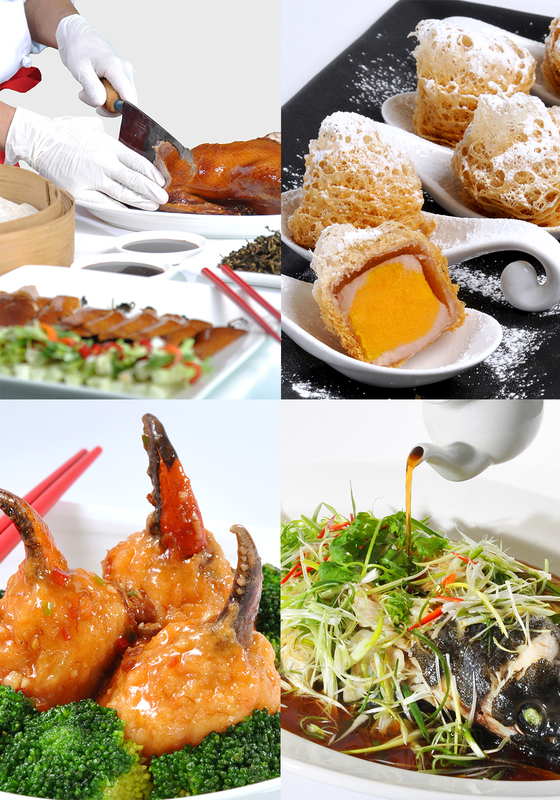 Silver Waves offers an authentic Cantonese cuisine presented in an enchanting and exquisite way. From delicately handmade dim sum to sumptuous feasts. Chef Yang En Chung, our Chinese Master Chef, showcases a diverse selection of authentic Cantonese styles and modern Chinese twist cuisines. Beside famous Dim Sum creations and creative Chinese tapas, relish on Silver Waves’ signature dishes such as Tea Infused Peking Duck served with handmade pancakes and Hoisin sauce, Steamed Black Garoupa with Soy Sauce and Prawns Stuffed with Crab Claws in X.O. Sauce. Also, try our sweet sensations such as Deep-fried Taro stuffed with Custard Cream or Pancake stuffed with Chinese Dates and Red Beans. Chatrium Hotels & Residences is born from a passion to provide uncompromising, warm service and a truly captivating experience. Discover 5-star services with a charming personal touch at properties located with comfort, convenience and stunning surroundings in mind. From cosmopolitan city center living in Bangkok, to the relaxing beauty of Royal Lake in Yangon, whether on business or leisure, long stay or short; you are right where you want to be. The newly launched Maitria Hotel Sukhumvit 18 is under our new A Chatrium Collection hotel brand featuring trendy hotels in deluxe destinations that are tailored to the smart and independent traveller. Join us today and Live the Remarkable.